In the hub of downtown sits Lithia Park, Ashland's crown jewel. Lithia is a 100-acre vista of emerald lawns, tennis courts (pickleball), a sand-pit volleyball court, picnic areas, colorful landscaping and playground equipment. 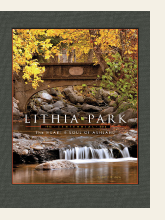 In 2016, local author, John Enders, wrote a book entitled, Lithia Park: The Heart & Soul of Ashland - Learn how you can purchase this book at AshlandParksFoundation.com/Campaigns. In 2014, Lithia Park was designated as one of the top ten Great American Spaces by the American Planning Association. Learn more at Planning.org/greatplaces. In 2013, two century-old landmarks in Lithia Park were restored and celebrated - Learn more. Read about the history of Lithia Park and take a tour of historical Lithia Park. The park follows Ashland Creek (Know Before You Splash!) through undeveloped woodlands, and also includes a Japanese garden, two duck ponds, a formal rose garden, groves of sycamore trees and a number of secluded spots. Discover the plants and trees of Lithia Park with our Lithia Park Trail Guide. Learn how you can contribute to the RESTORATION PROJECT (ashlandparksfoundation.com/campaigns) for this centerpiece of Lithia Park. View a general map of Lithia Park, a hiking trails map or a walking distance map of Lithia Park (PDF formats). Rent the Bandshell in Lithia Park. Rent one of the Group Picnic Areas in Lithia Park. Plan your wedding in Lithia Park. The Japanese Garden in Lithia Park has been adopted by Richard Anderson and Alison Date. 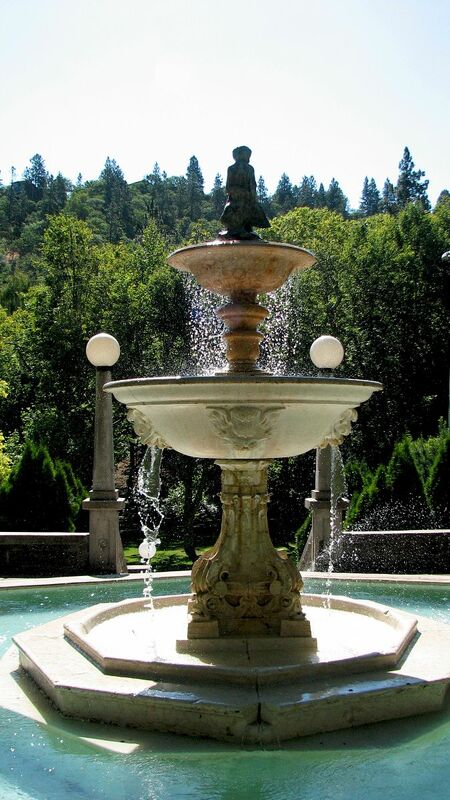 The upper part of Lithia Park has been adopted by Sunday Afternoons, Inc, and the middle part of Lithia Park has been adopted by the Medford Water Polo Club and the lower part of Lithia Park has been adopted by the Neuman Hotel Group. All adoptees volunteer through the Adopt-a-Park Program. Lithia Park is open from dawn until 11:30 p.m.
View info on the Lithia Park Master Plan.